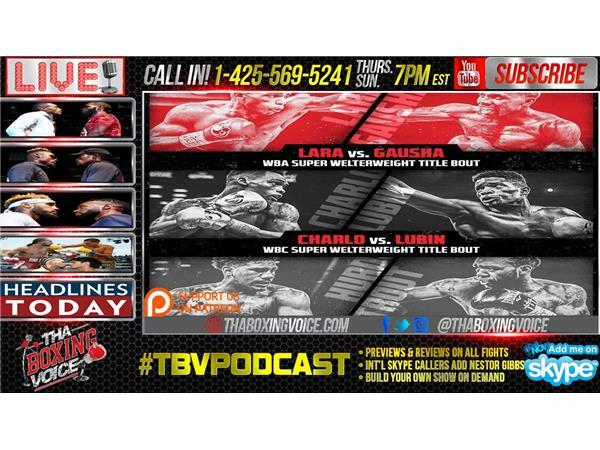 Charlo vs Lubin & Lara vs Gausha Preview, Groves vs Cox, PBC on Fox, Plus More! Jermell Charlo vs. Erickson Lubin preview and breakdown. Erislandy Lara vs. Terrell Gausha preview. Does this deserve to be the main event? Jarrett Hurd vs. Austin Trout preview. Can Trout upset another young champion? George Groves vs. Jamie Cox breakdown. Will the World Boxing Super Series get this one right in terms of server crashes and getting US exposer. Plus PBC on Fox: Leo Santa Cruz & Abner Mares double header & More! http://www.blogtalkradio.com/thaboxin... to receive one email a few minutes before we go live.